The RV industry has been consistently growing year after year. In the last few years, the industry has seen millennials living in RVs, retirees swapping to the RV life, and the age 35-55 crowd taking a larger market share than the typical 60+ buyers. Why Do People Buy RVs? 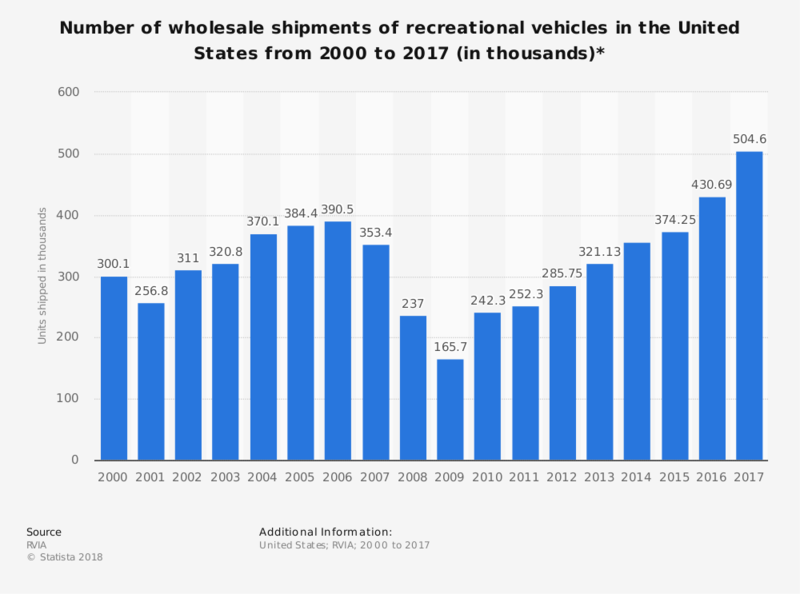 What Kind of RVs Are People Buying? How Do People Use Their RVs? Here's an infographic we put together using the most interesting stats from this report. If you'd like to use the infographic, just copy-paste the embed code below the image. Enjoy! 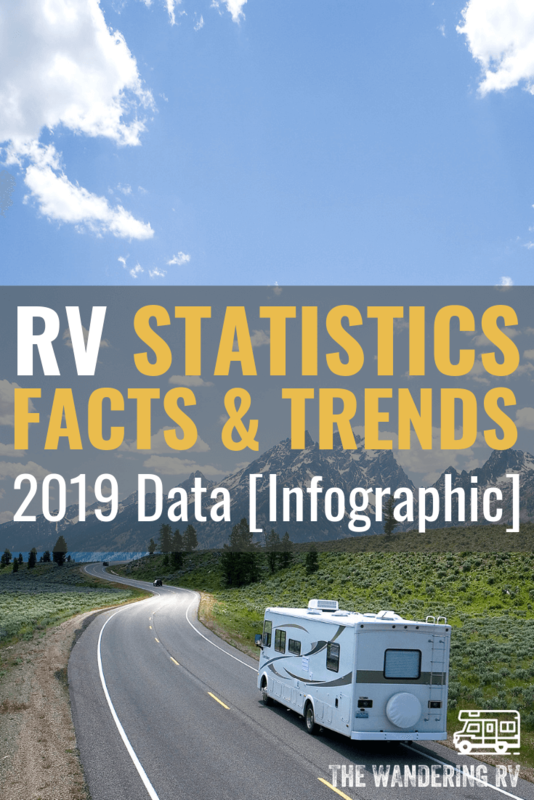 This section of the report covers all the studies and statistics related to the average RV shopper and their consumer demographic profile data. *Represents # of RVs manufactured rather than shipped. These states have more RV manufacturers and don't need to import units. Which states sell the most RVs? The states that sell the most RVs are Indiana ($6.8 B), California ($2.2 B) and Texas ($1.8 B). Economists believe the RV industry is a good indicator of the US's economic health. When sales are high, wages and investments are also strong. When sales suffer, it's a potential indicator of a recession. For example, in 2007 (right before the recession), industry sales were down 10%, despite economic growth indicators showing a 4% growth. This could mean that the 2019 "slight decline" is a signal for another recession, but this is purely speculation. According to the video below discussing the major issues facing the RV industry, if the industry can expand into high-interest areas (such as Europe and Japan), the potential for export revenues could triple by 2028. Additionally, Canada will continue to be a strong importer of RVs and Mexico can additional export opportunities as income rises.